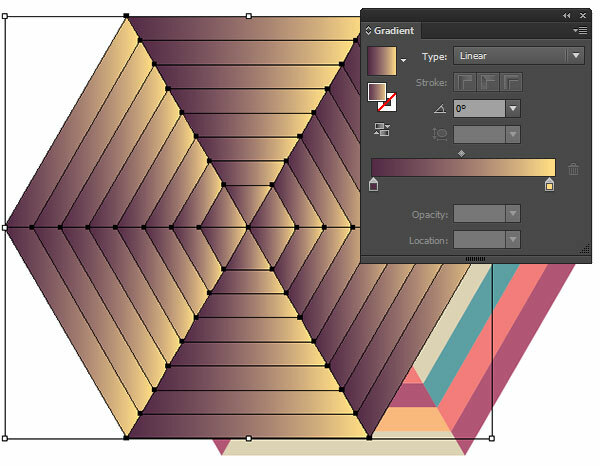 GFX9.COM share How to create a blended hexagonal print design in adobe illustrator, you can download now. 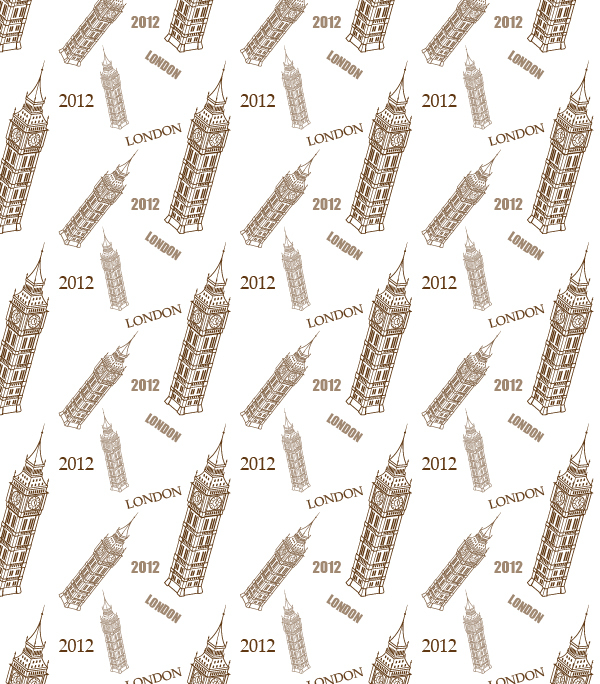 Geometric print designs have been quite the trend as of late. 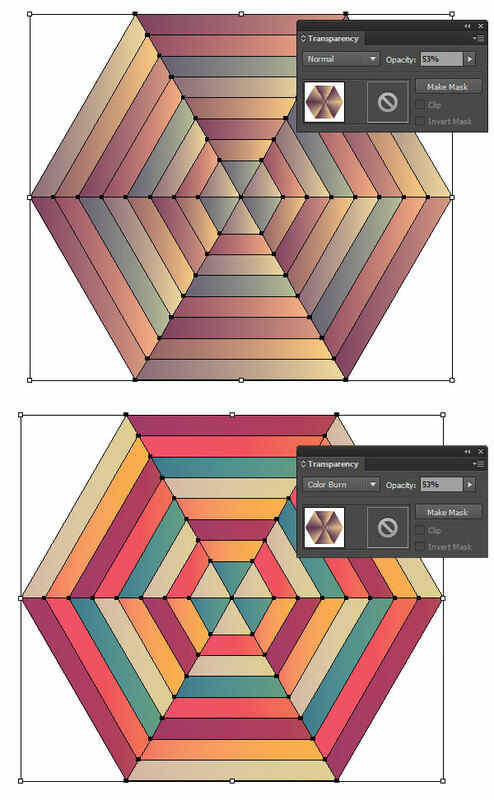 Using the Blend Tool (W), the Appearance panel in Adobe Illustrator, and a trendy color palette we'll create a hexagonal design of our own, ready for the printers. The first step is simple: draw a hexagon. 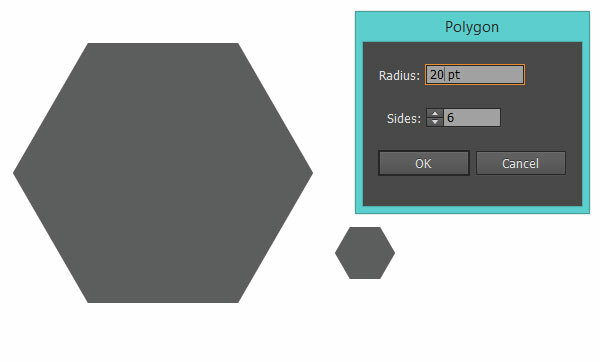 To do so easily use the Polygon Tool to create a 6-sided polygon with a Radius of 100pts. Draw a second, smaller hexagon next to the first. 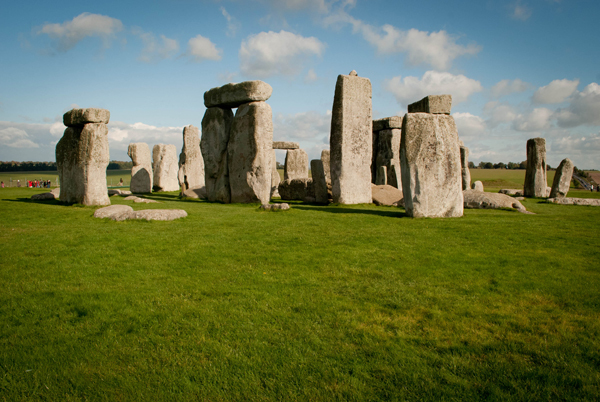 This one has a Radius of 20pts. 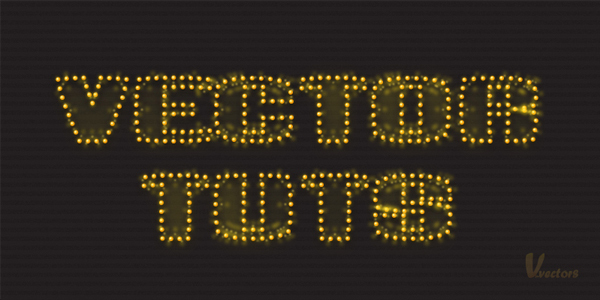 Select both hexagons and Align their centers (both Vertically and Horizontally). 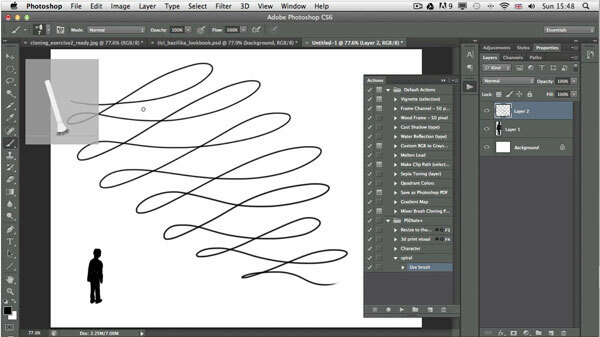 Using the Blend Tool (W), select both shapes and apply a blend of 6 Steps. 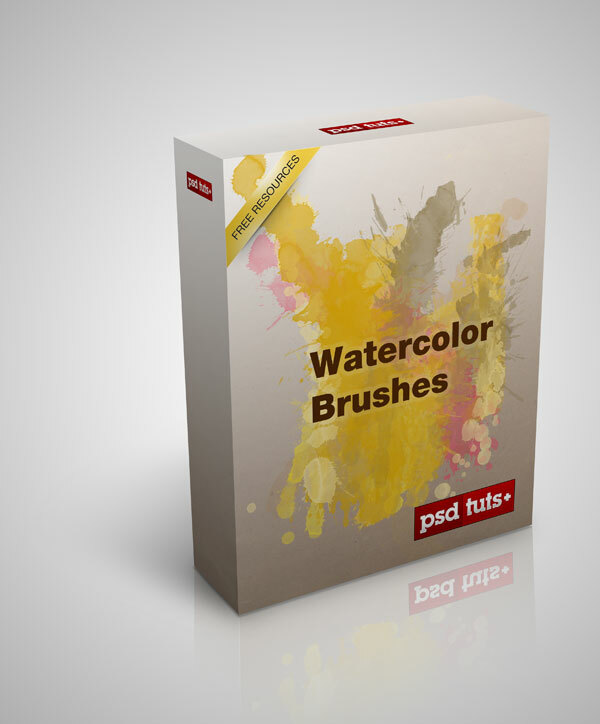 I change the colors of the hexagons before applying the blend so the blend is easier to see. 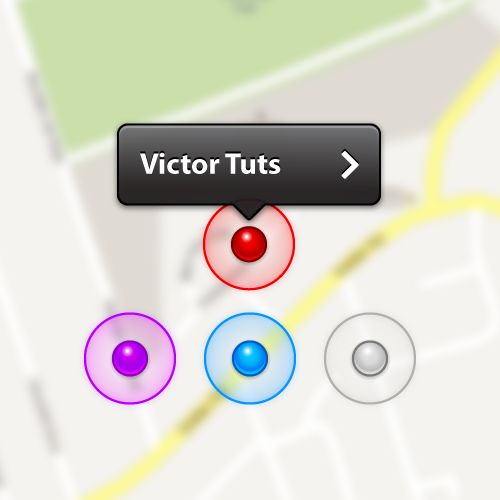 With your newly blended group selected, go to Object > Expand, and Expand the group so you have eight stacked objects. Use the Line Segment Tool (), draw a straight path in the center of the hexagon, bisecting it horizontally, from left corner to right corner. 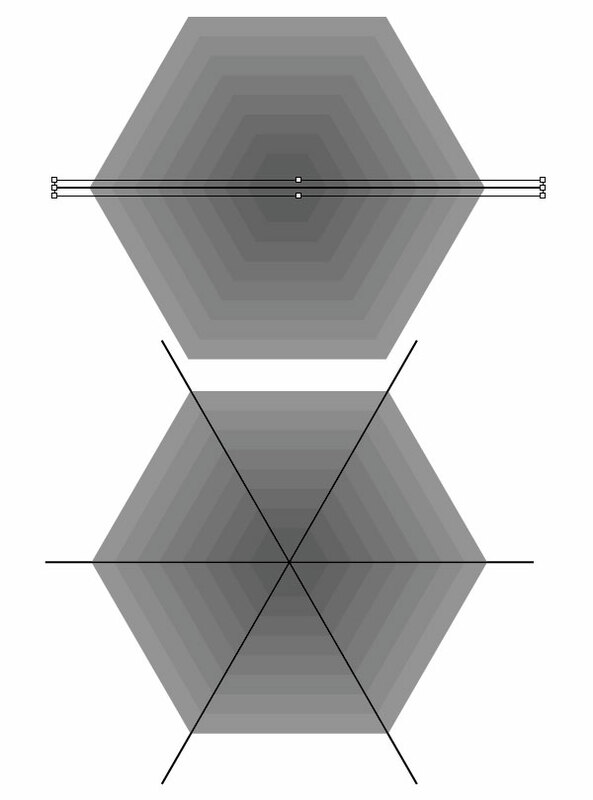 Draw two additional line segments from the top left corner to the bottom right corner and another from the top right corner to the bottom left corner. Zoom in as needed to get the placement of the paths just right. 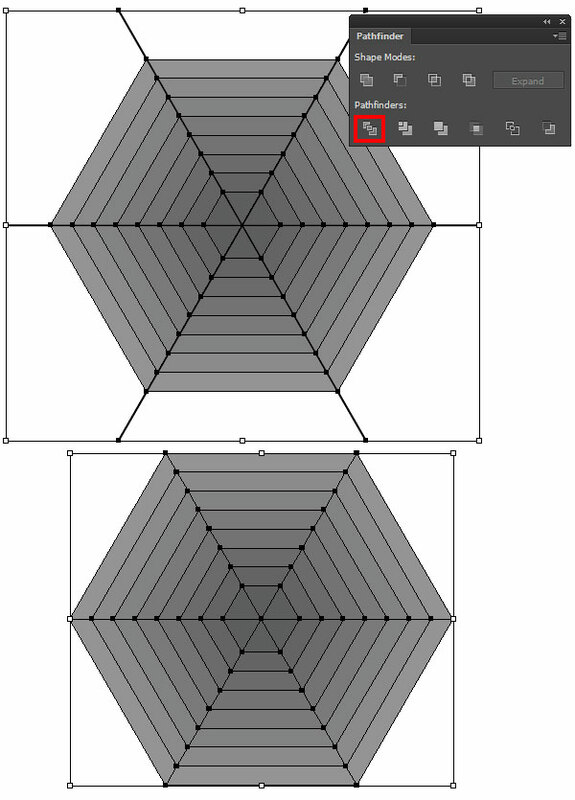 Select the lines and hexagons and hit Divide in the Pathfinder panel. 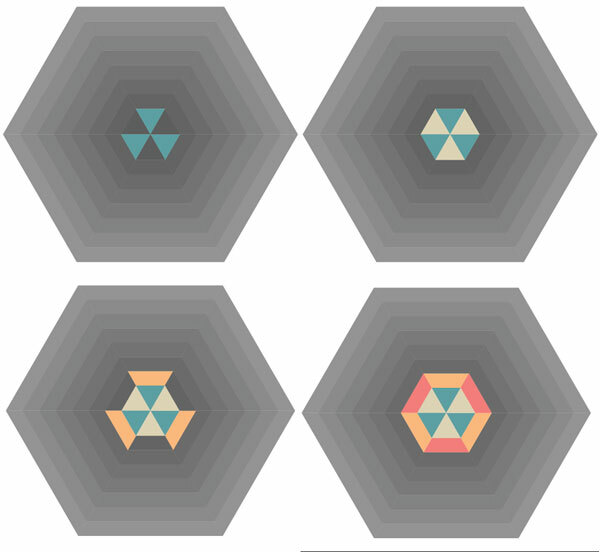 You should be left with each of the eight hexagons having been cut into six individual sections. I chose print-ready CMYK colors in order to make sure this design would be ready with the colors I wanted for printing later. Ungroup the hexagon shapes and sections. 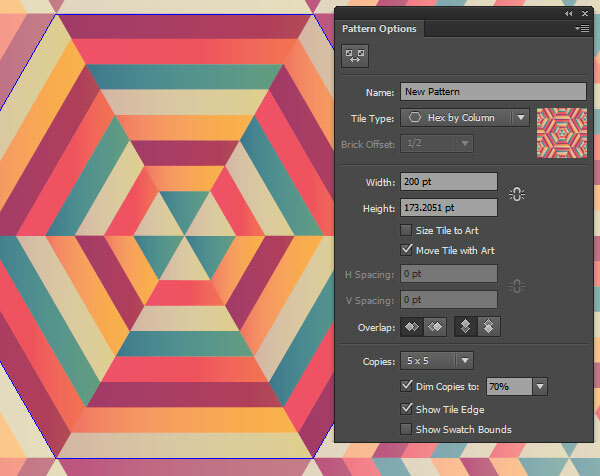 Select three of the first hexagon's sections and set the color to the blue from the palette in the previous step. Select the other three and set the fill color to the taupe from the step above. Continue selecting three pieces at a time changing their colors so no two colors of the same hue touch (aside from at their corners). 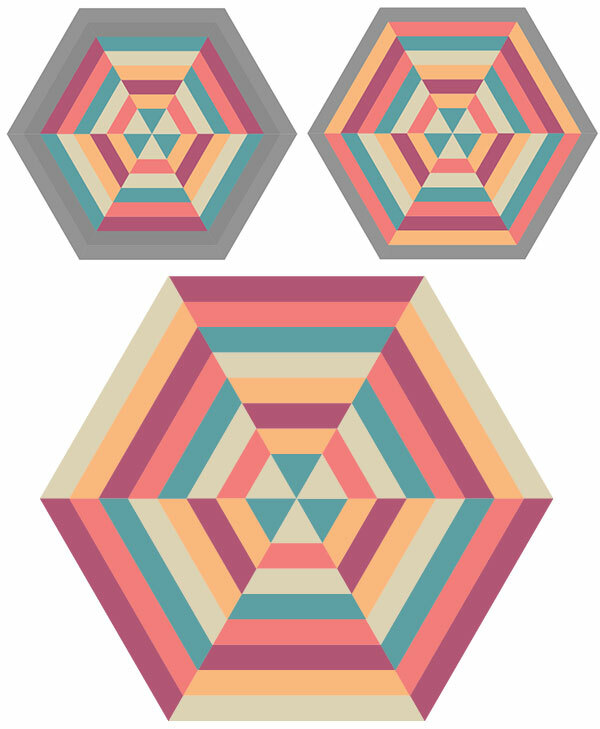 As you select pieces and apply new fill colors change up the order in which they appear in each hexagon. 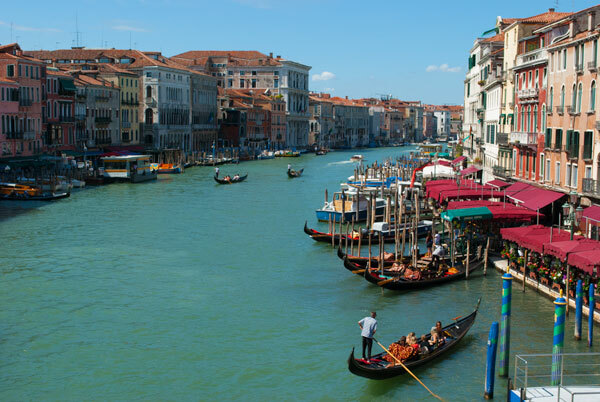 For instance, sometimes the color order may go taupe, salmon, taupe and other times it could be a successions of different colors like blue, peach, and rose. The number of steps you applied in the blend in Section 2, Step 1 contributes directly to the amount of sections you'll have to recolor. 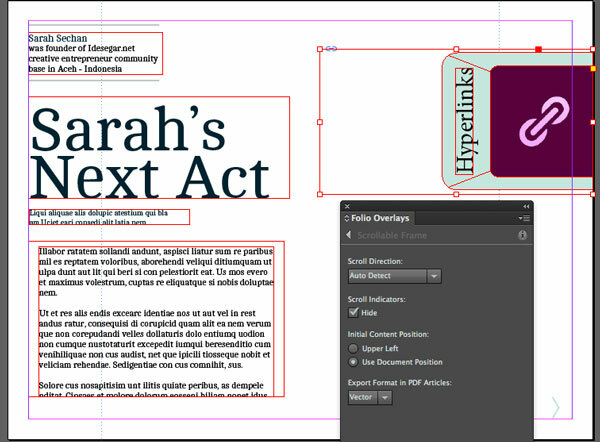 The more sections and the more colors you add, the more complex your design will be. When using muted colors like these, having a more complex design reads well and it's too busy, vibrant, or loud. 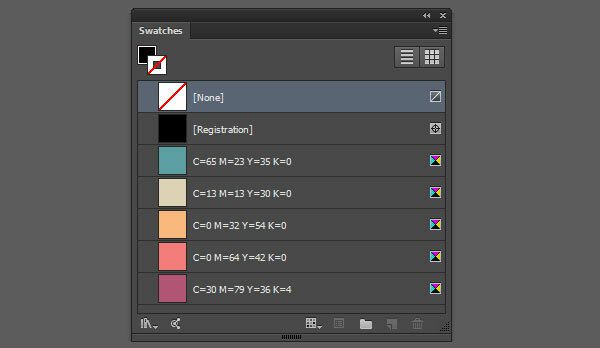 If you're using brighter colors you might want to limit the palette and number of sections. This, of course, is entirely up to you. 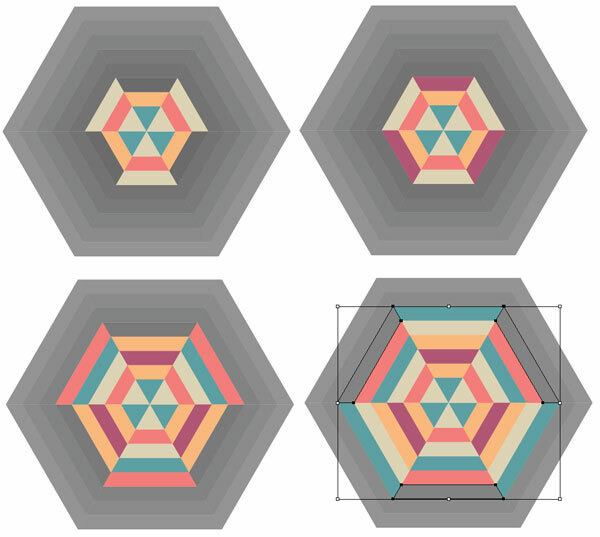 Group (Control-G) together your hexagon sections once you've finished recoloring them. Copy (Control-C) and Paste (Control-V) the hexagon group. We'll call the first group Hexagon A and the copied group Hexagon B. Align groups A and B. Apply a Linear Gradient to Hexagon B with the Gradient panel going from Purple (C60 M86 Y45 K42) to Creamy Yellow (C0 M13 Y57 K0). 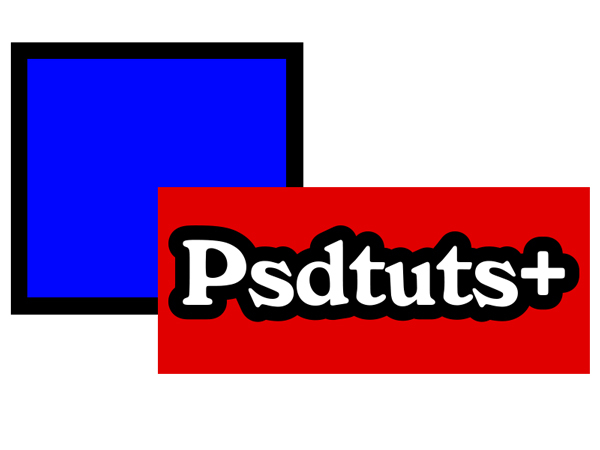 Note how many of the gradients are angled in different directions. This is intentional. 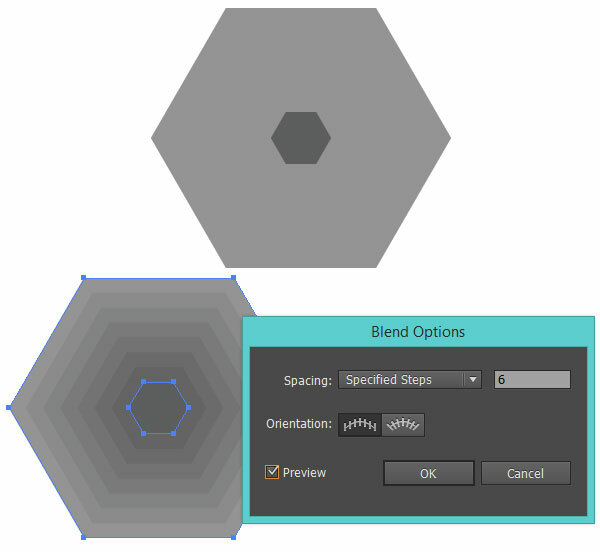 In the Transparency panel reduce Hexagon B's Opacity to 53% and change its Blending Mode to Color Burn. Group together Hexagons A and B. 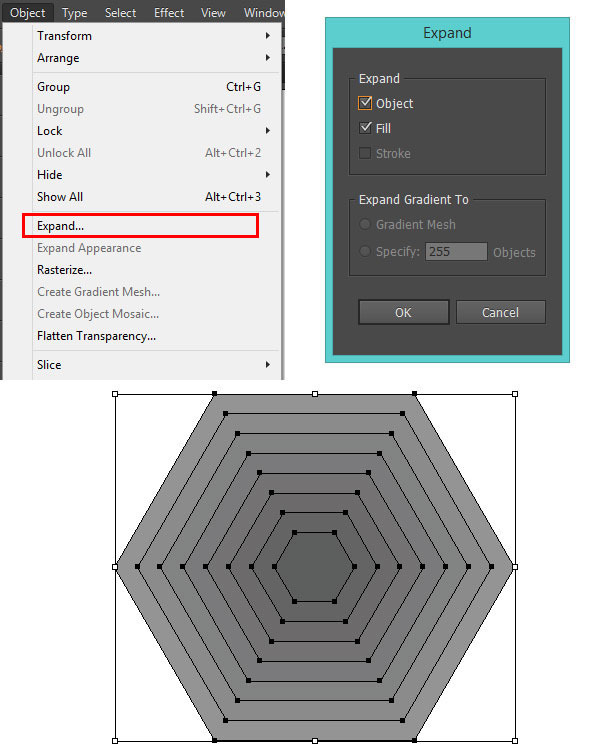 Select your unified hexagon group and in the Pattern Options panel go to Options and Make Pattern. Name your new pattern and choose Hex by Column as the Tile Type. 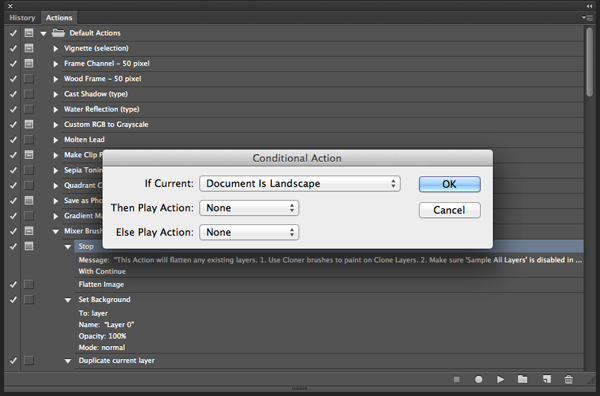 At the top of your document's window you should have the option to save this pattern; do so. Your pattern is now complete. 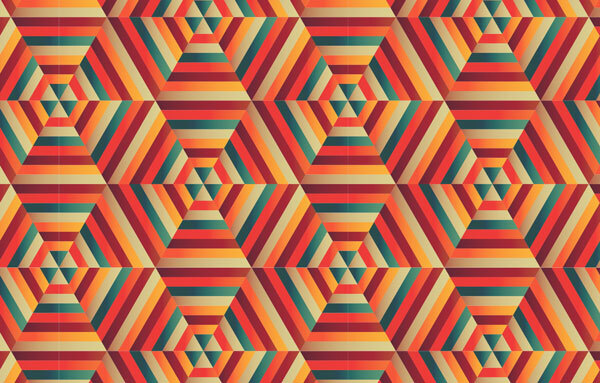 Use this swanky hexagonal design for posters, note cards, the background of your business card, or other assorted print designs. Use Web-Only colors and create a trendy background for your blog. 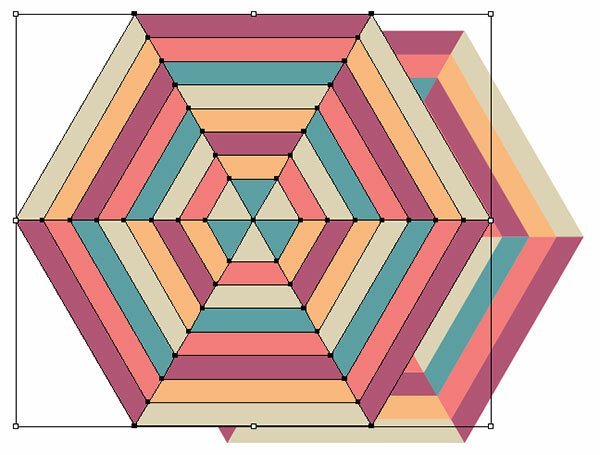 I hope this inspires many more blended geometric designs. By layering shapes, blends, and gradients the possibilities of abstract geometric pieces are endless. Enjoy!